Outstanding opportunity for a Channel Sales Partner Executive, to assist the Chief Marketing Officer and Sales Director in the continued growth of Autocab, a market-leading SaaS technology platform serving the taxi, private hire and mobility industries. With 52% market share in the UK, exceptional growth has led to the need to recruit a Channel Sales professional who wants to apply their skills to growing and nurturing Autocab’s international Channel Partners and play a leading role in our continued international growth. This is a hands-on, operational role. The business is a very fast-paced, high-profile B2B/SaaS technology operation with an increasingly successful international customer base. Responding to that pace and driving it, is a critical function of the Sales Departments. Our Sales Managers require assistance identifying, recruiting and nurturing Channel Partners across the globe. The Channel Sales Partner Executive role is primarily a sales and account management role with an emphasis on building and maintaining relationships with a host of partner sellers around the world. Attention to detail and a ‘can do’ attitude are critical aspects of this role. The business has a strong ‘team’ ethos and culture and we’re looking for someone adaptable and able to work under pressure. This role will offer true ownership of our partner sellers’ channel – and for the appointee, the opportunity to help drive that presence to unparalleled heights. This is a dynamic, highly driven, profitable business with 26 years’ experience in the industry. The appointee will possess excellent interpersonal skills, be incredibly hands-on, possess strong analytical abilities, and be a robust decision-maker and a ‘finisher’. The role involves providing strategic and tactical relationship building, coaching, onboarding and practical support to the entire business. He/she will have strong creativity and be capable of committing to, and delivering to, tight deadlines to keep up with a fast-paced market environment. They will exude enthusiasm and demonstrate an outstanding work ethic – this is a culture where hard work is expected, celebrated and rewarded. Previous exposure to channel sales, partner or client management together with fluency in a second European language will be a distinct advantage. Above all else, they will be excited by Channel Sales; excited by partner management; excited about the opportunity of contributing to the continued growth for one of the highest profile businesses in the area. Lead Autocab sales and business development among current channel partners, that ensure successful Autocab annual revenue goals and long-term growth. Responsible for monthly/quarterly sales objectives via partner base. Identify and implement growth opportunities within existing accounts. Focus on developing sales programs and processes to fuel immediate and long-term growth of Autocab’s Partner Channel. Establishes productive, professional relationships with both their channel team as well as internal Autocab personnel. 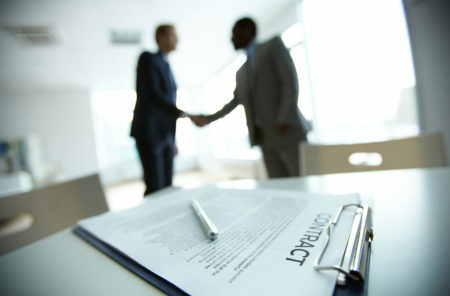 Ensure renewal of all channel partner agreements. Maintain up to date prospect and client revenue opportunities in the CRM system including complete contact information, call reports, correspondence, price quotes and agreements. Provide compelling presentations and impactful communication strategy that convince target prospects to become Autocab partner sellers. Support the needs of existing partners to maximise the value of these relationships and their revenue potential. Ability to network and build relationships with potential new partners. Build and maintain partner network that will provide consistent sales funnel. ‘Farmer’ mentality with a ‘Hunter’ streak – the ability to provide creative ideas to grow network of partners. Ability to transform strategy into successful execution and passion for operational excellence. Strong communication, organisational and interpersonal skills.